Our deluxe outdoor tractors are provided complimentary during our guests’ stay and come with a completely enclosed second level (nesting area). Our enclosures are moved to a fresh grassed area daily and cleaned every morning, including fresh food and water. 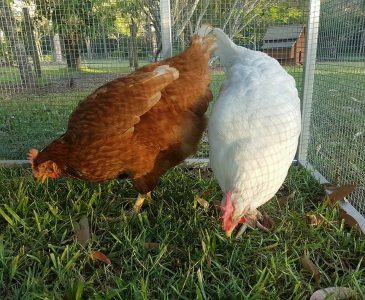 All of our chickens, ducks and geese receive one-on-one time with us and we move the tractors around daily so that they always have access to fresh grass. 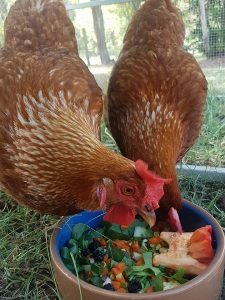 We provide our guests with fresh vegetables and fruit daily, premium layer mash, layer pellets and meal worm treats. 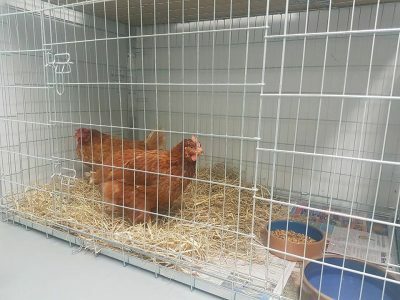 The health and safety of our guests is of primary importance to us, which is why all poultry must receive a health check within 12 months of their stay. 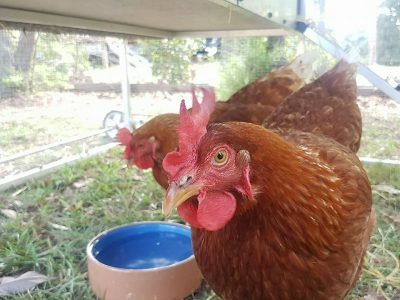 The team at Noah's Ark are specialist trained and more than happy to cater for poultry requiring medication. 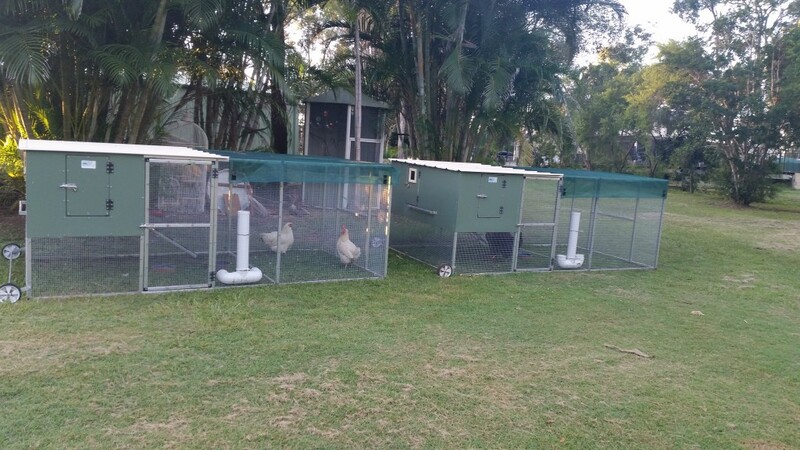 Our Poultry Pads are luxurious sanctuaries for poultry of all breeds and sizes including chickens, ducks and geese. 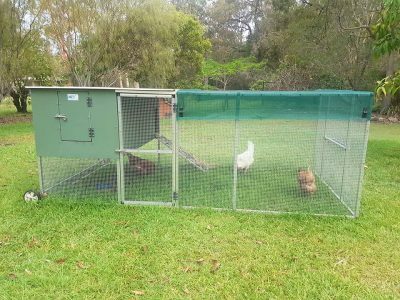 With spacious & secure, outdoor tractors, you can feel confident your feathered babies are being cared for in a safe and relaxing environment. 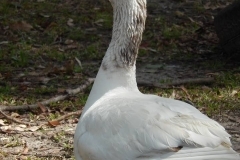 We look after a variety of chicken breeds, ducks and geese.